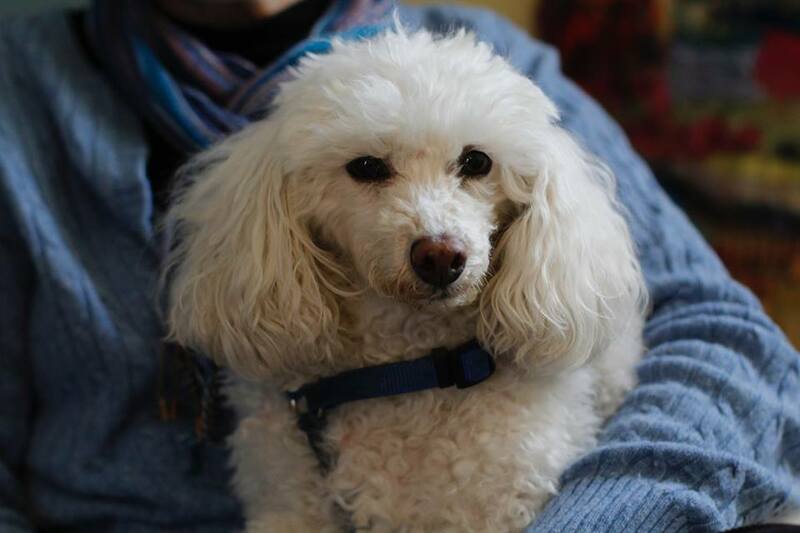 Sophie is a rescue from a puppy mill in Missouri. That means that she spent six years in a crate with hundreds of other dogs, being bred every 6 months. She has been with us since 2016, is at The Center nearly every day. She is our mascot and is slowly coming out of her shell. Just like women at The Center, love and kindness are healing her. She doesn’t tremble quite as much, doesn’t startle quite as easily, doesn’t flinch when you touch her as long as she sees your hands coming, and she now will look at some of us in the eye. Those symptoms are similar to women when they have been assaulted, abused and traumatized. When not at work Sophie lives with the Executive Director. You can read a story from the Sun Journal about her HERE.